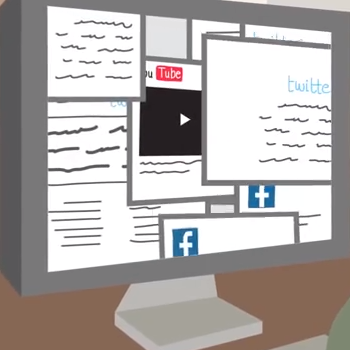 In fall 2014 SMEX launched Taakad, a campaign to encourage better verification of social media news by both citizen journalists and traditional media outlets. Taakad means “to verify” in Arabic. By modeling social media verification best practices and encouraging others to do the same, Taakad aimed to offer an open lesson to news media and other platforms in Lebanon about how to verify content and to readers and viewers about why they should be skeptical and how to do a bit of sleuthing of their own. Working with CheckDesk, a collaborative fact-checking platform developed by social technology nonprofit Meedan, four independent journalists posted stories they were skeptical about on English and Arabic installations of the platform and facilitated a public, crowdsourced fact-checking process to try and tease out the truth. Some examples of stories our journalists followed included Habib Battah’s investigation of ISIS and Nusra Front involvement in violence in Lebanon’s northernmost city Tripoli and Mahmoud Ghazayel’s confirmation that photos purported to show injured/killed children in Tripoli were actually from Syria. The campaign earned media coverage in popular Lebanese press and on the satellite network Al Jazeera. It will take some time to determine whether the campaign has changed the social media verification process and the accuracy of news in general in Lebanon. But we’re certain at the very least that more people are asking the question, Has this been verified?